Batman's transformative years are getting a few new twists. Snyder said readers will see how the crime fighter found his calling and what challenges he faced when first donning the costume of the Dark Knight. DC Entertainment is going back into Bruce Wayne's past to see how he began his transformation from wealthy socialite to the scourge of Gotham's criminal underworld. Key elements of the character's history are staying the same — the murder of Wayne's parents, for example — says Scott Snyder, the writer of "Batman" since its relaunch debuted in 2011. "It's not 'let's redo the origin,'" he said Monday. "It's time for a new story showing how Batman became who he is in the New 52." Snyder said the decision grew out of the success of the first year-and-a-half of DC's New 52, a sweeping reorganization of the publisher's characters that saw many given new origins and costumes that blended those from their first appearances decades ago with contemporary changes. The augmented origin begins June in the pages of "Batman" in an 11-issue story called "The Year Zero" that is illustrated by Greg Capullo. "We tried to preserve as much of Batman's history as we could and keep what we could of this history intact," Snyder said of the change. "It's 'The Zero Year,' the one that no one has told the story of before. We see how Bruce became the Batman, built the cave, faced off with his first super villain." It's not so much an origin story as it is a view into Batman's formative years. "We're not going to take apart 'Year One,'" Snyder said, referring to the Frank Miller-David Mazzucchelli four-issue arc that recounted how Wayne began to fight crime after years away. Instead Snyder, an Eagle Award-winning writer whose other efforts for DC include "Swamp Thing" and "American Vampire," said the "Zero Year" story will give readers new glimpses into the Bob Kane-created character who made his first appearance in the pages of "Detective Comics" No. 27 in May 1939. 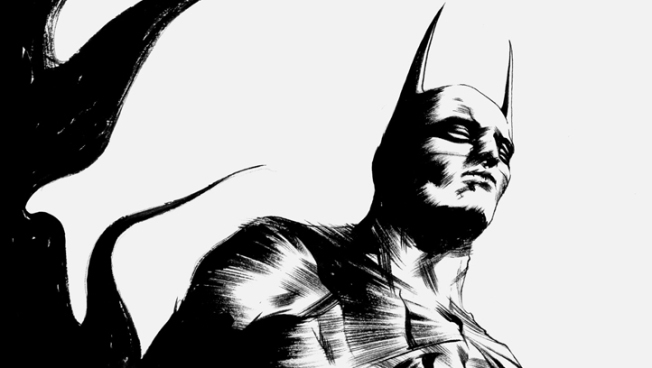 "It's time for a new story showing how Batman became who he is in the New 52," said Snyder. "It builds up the mythology."